Business View Magazine interviews Tim Marcus, Swift Current’s CFO and Deputy Chief Administrative Officer, as part of our focus on U.S. cities’ economic development. 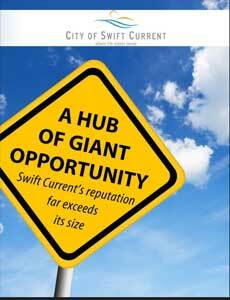 Fundamental approach makes Swift Current a municipal model. The economic and lifestyle momentum that’s been building in the Saskatchewan city of Swift Current has made it a go-to source of counsel for other areas – both larger and smaller – seeking to replicate the successes. In fact, a certain legislative body in Washington, D.C. might want to take a look, too. “It starts with fundamentals,” said Tim Marcus, the city’s chief financial officer and deputy chief administrative officer. “We have the location, the interest from oil companies and the agriculture, and we build on those strengths. For the last number of years, the city council and the administration haven’t just given lip service to providing an atmosphere for business to succeed, they’ve put incentives in place that indicate that we’ll do whatever we can for businesses that expand here. Marty Salberg, the city’s director of business development, said the progress is traceable to a community-wide sea change a decade ago. “About 10 years ago, there was a grassroots shift in what people wanted. They wanted the population to grow and they wanted to attract businesses here,” he said. We’ve been fortunate that there’s been a real change in the mentality of the population. Resulting upgrades in infrastructure have included a new hospital, a water treatment plant and a waste-water facility, and the significant uptick in activity in the city’s northeast section will ultimately yield two new elementary schools, about 60 new single-family residential lots available for purchase, plans for additional multifamily options and a new 15-acre industrial park. integrated facilities concept that falls in line with cost-sharing policies filtered down from the provincial and federal governments. As continuing facility investments are made, those facilities will be tied together to enable more overall functionality. Swift Current is spending 2014 in celebration of the 100th anniversary since it was initially incorporated as a city. It was originally formed as a First Nations camp a century earlier and its name was originated from a Cree Indian word describing the rapid flow of the nearby South Saskatchewan River. A settlement was established during the westward railroad expansion in the 1880s and it became a village in 1904 and a town three years later before incorporation with Frank West as the first mayor. These days, the incumbent isn’t shy about singing the praises, regardless of the year. 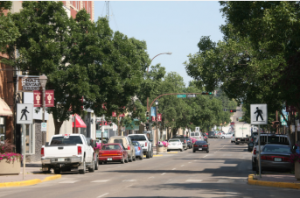 Swift Current’s population grew 3.7 percent in a recent five-year stretch, and the locals are poised for more. “It truly is a great city to live in and it hasn’t happened by chance,” Schafer said. “There’s been a lot of good planning, and, as a result, we’re going to continue to see some good growth. 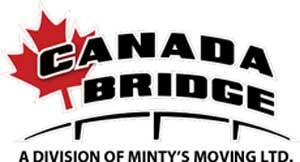 ”It will be the result of a perfect storm of factors that make Swift Current attractive – including a desirable location within both the province and the region on the Trans-Canada Highway, and an economy fueled by a cross-section of industries. Among the sectors driving the bottom line is a mainstay like agriculture, but the city has also benefitted from increased oil activity in the region, tourism that’s soared since the arrival of the Living Sky Casino and an industrial footprint led by the local home bases of Batco Manufacturing and Rem Enterprises. And once the businesses were built and the jobs came, the people’s needs were taken care of, too. “We have a strong and diverse economy and very good people,” Salberg said. “It’s been very important that our mayor and council have been responsible in investing in the things that people have wanted. Businesses need employees, but the employees need other things. Check out this handpicked feature on BlueGrace Logistics – Making the impossible very possible.